CosmoBC.com » FoodBlog » Healthy Eating » Being Prepared: What Is Your Food Storage Supply Missing? Being Prepared: What Is Your Food Storage Supply Missing? You can’t predict when disaster strikes or exactly what you’ll need when it does. When you’re prepared for any disaster, however, you can increase the odds that your family will thrive throughout any situation that comes your way. The first step? Making sure that your food storage supply isn’t missing any of these critical items. You’ve thought about food, but have you really taken water into account? In a disaster situation, the rule of thumb is one gallon of water per person in your family per day. Make sure that you have enough on hand to get your family through a few days at a minimum – and preferably enough to make it through a couple of weeks. Cooking oils are fantastic items to add to your food storage. They’re shelf-stable, add healthy fats to your diet, and provide the basis for a number of different dishes. As you’re building your food storage, be sure that olive oil, vegetable oil, and even coconut oil factor in. If your food storage is missing a system, you may reach your disaster situation only to discover that half of your food expired months or even years ago. Develop a system that will keep your vital food items rotating through so that you’re sure you have fresh food stored for an emergency. Do you regularly enjoy a beer in the evening or a glass of wine with your spouse at dinner? What about candy for the kids? Sweet treats for birthdays and other special occasions? If your food storage doesn’t allow for these vital items, spirits will dip quickly. Crackers, chips, and other shelf-stable treats are also an important consideration. Many food storage plans call for you to pick up extras of things you’re already purchasing at the store. That works out great, but it might be interesting when a disaster arises and you realize that you have a hundred cans of beans but only half a dozen of corn, carrots, and tomatoes. 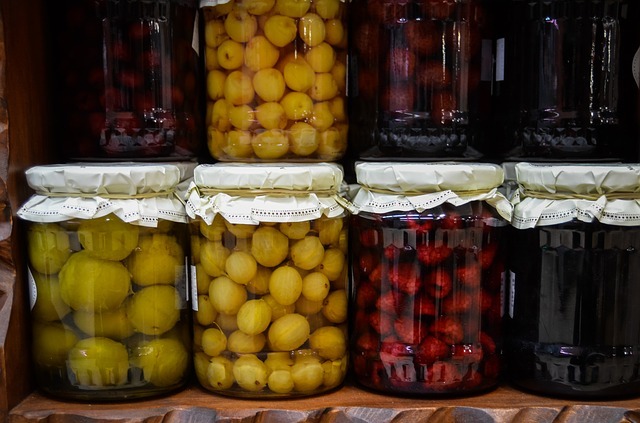 Review your food storage every few months to make sure that you’ve maintained a decent balance as well as to use up items that are reaching their sell-by date. You can’t be prepared for every disaster, but you can certainly be sure that your family is fed throughout one! By ensuring that your food storage contains all of these vital items, you can help your family flourish through any disaster. While some specific food storage items can be high in costs, shopping around online and searching for coupons and promo codes for emergency and preparedness retailers can help. Discountrue offers Brownells coupons that you can use for the emergency and survival section of their site. Checking over your food storage on a regular basis will also help you develop a more realistic view of the meals you can prepare in the event of an emergency, which will mean that you’re not scrambling for what to cook when the time comes. Snack Time at the Office: What Quick-Eats Should You Be Eating?